Discover Manchester’s best new music at Live and Lyrical. 15 exciting, emerging acts from BIMM Manchester take the stage to perform one song each. 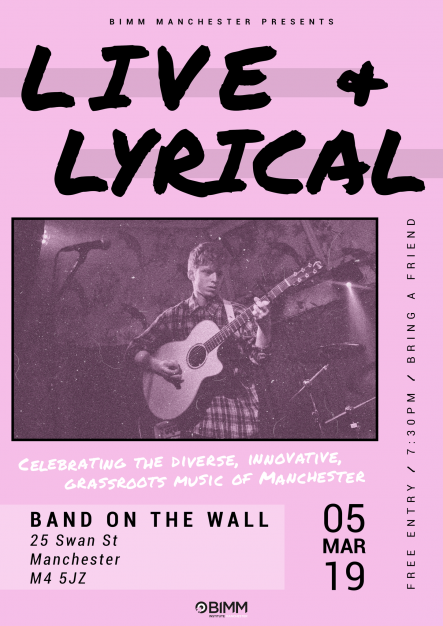 Live and Lyrical celebrates the diverse, innovative, grass roots music of Manchester. Free entry – all welcome! No ticket required, just come along on the night.